The Hazen Knives Eli with black micarta handle and satin finished full tang blade is a full sized fixed blade ready for the trail, campsite or hunt. The 5.5" full tang 154CM stainless steel blade has the length and heft you need for those larger camp chores. Black micarta handle scales provide a comfortable and secure grip in hand. The stainless steel finger guard provides an added layer a safety, preventing any accidental slipping onto the cutting edge. 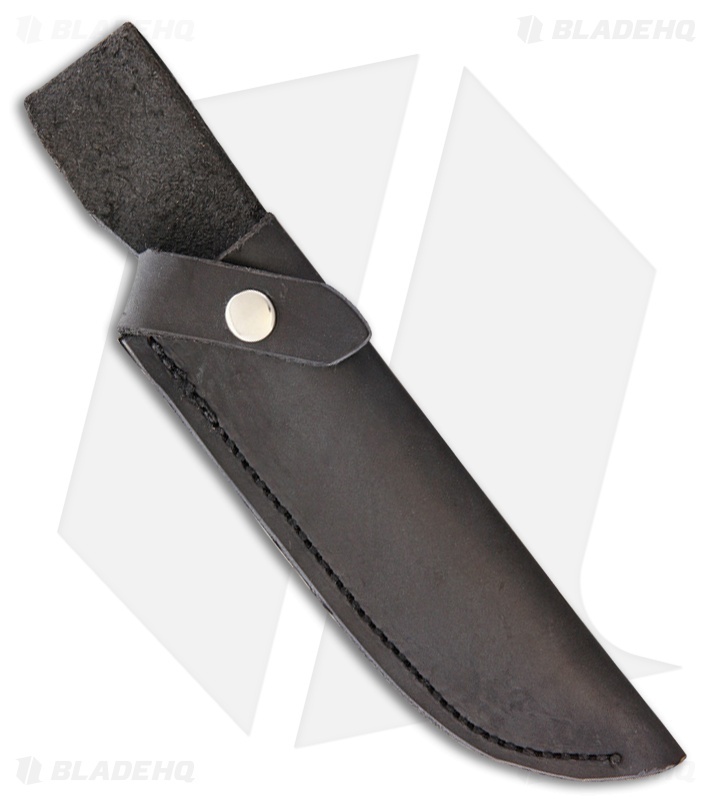 Includes black leather belt sheath for easy carry in to the field. Full tang 154CM stainless steel blade for exceptional cutting performance. 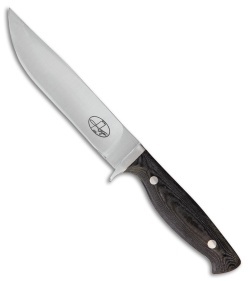 Rounded black micarta handle for a comfortable and secure grip. Durable leather belt sheath for easy carry.